About the Project | Comments? 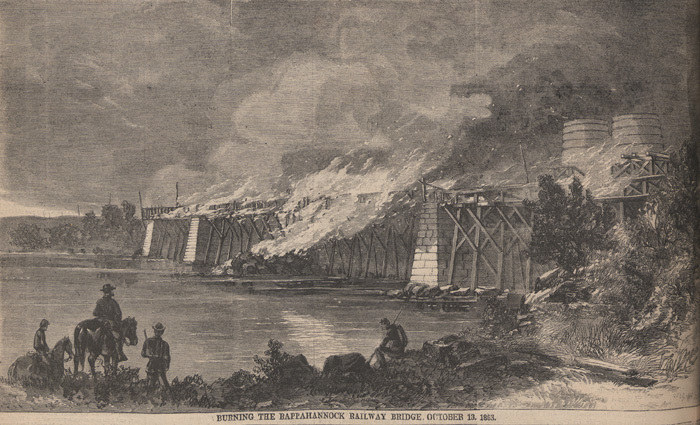 This image from the November 7, 1863 issue of Harper's Weekly depicts the burning of the Rappahannock Railway Bridge on October 13, 1863 during the American Civil War. BURNING THE RAPPAHANNOCK RAILWAY BRIDGE. OCTOBER 13. 1863.